This book is the third publication from the Eurogang Network, a cross-national collaboration of researchers (from both North America and Europe) devoted to comparative and multi-national research on youth gangs. 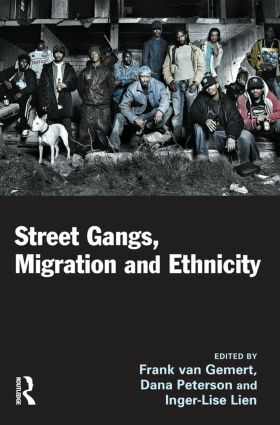 It provides a unique insight into the influence of migration on local gang formation and development, paying particular attention to the importance of ethnicity. The book also explores the challenges that migration and ethnicity pose for responding effectively to the growth of such gangs, particularly in areas where public discourse on such issues is restricted. Chapters in the book are concerned to address both situations where there have been longstanding problems with street gangs as well as areas where such issues have just started to emerge. A variety of different research traditions and approaches are represented, including ethnographic methods, self-report surveys and interviews, official records data and victim interviews. It will be essential reading for anybody interested in the phenomenon of street and youth gangs.